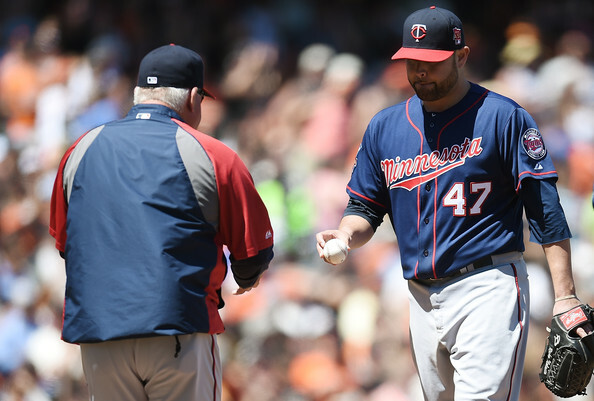 Three days after signing Ricky Nolasco for $49 million over four years the Twins added another veteran free agent starter to the rotation, signing former Yankees right-hander Phil Hughes to a three-year, $24 million deal. 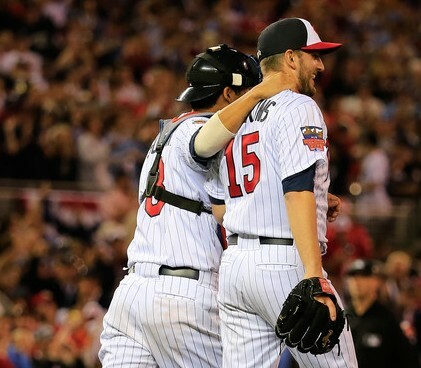 Nolasco and Hughes are now the two largest free agent investments in Twins history, surpassing the $21 million given to Josh Willingham two winters ago, and along with Kevin Correia three-fifths of the rotation has been built via multi-year free agent contracts. Hughes was a first-round draft pick out of high school in 2004 and emerged as an elite prospect, rising to No. 4 on Baseball America's list for 2007. 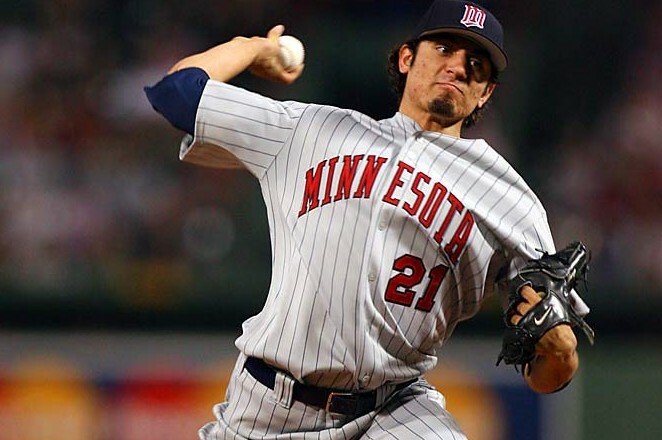 As a 21-year-old rookie he started 13 games for the Yankees, after which Hughes was targeted by the Twins in the Johan Santana trade talks. 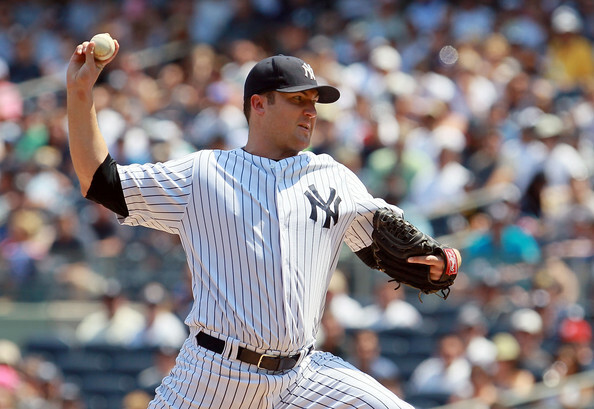 New York hung onto him and after an injury wrecked 2008 season Hughes thrived as a reliever in 2009 before making the All-Star team as a starter in 2010. Unfortunately he hasn't been the same since. Hughes posted a 4.90 ERA in 15 starts after the All-Star break that year and from 2011-2013 he threw 412 innings with a 4.85 ERA and MLB's fifth-highest homer rate. Some of that is due to pitching half his games at Yankee Stadium, which is a terrible home ballpark for an extreme fly-ball pitcher like Hughes. On the other hand, he also had a 4.34 ERA on the road from 2011-2013 and his career ERA away from New York is 4.10. Hughes, like Nolasco, has generally pitched better (or at least less badly) than his ERA suggests and it's encouraging to see the Twins target that type of pitcher rather than someone whose ERA overrates his performance. However, similar to Delmon Young a few years ago one-time elite prospect status can overstate a player's current ceiling and aside from long-ago scouting reports there's little in Hughes' track record to suggest that he still has significant upside at age 28. Hughes is young for a free agent and certainly looks durable at 6-foot-5 and 240 pounds, but he's topped 175 innings in a season just twice partly because of nagging injuries and partly because it's difficult to throw a ton of innings with an ERA nearing 5.00. And while Hughes joins Nolasco in having better secondary numbers than ERAs, unlike Nolasco his secondary numbers still aren't particularly good. Expected Fielding Independent Pitching (xFIP) attempts to remove randomness and luck from a pitcher's performance, isolating what he can control (strikeouts, walks, ground balls) as opposed to what he can't control (batting average on balls in play, bullpen strand rate, homers per fly ball). Hughes has a lifetime 4.43 xFIP as a starter, including 4.36 this year and 4.35 in 2012. He does everything pretty well except limit homers, but that's an awfully big exception. For his career Hughes has averaged 92.3 miles per hour on his fastball, including 92.4 miles per hour this year, and none of his off-speed pitches have ever consistently been assets. His career strikeout rate as a starter is 7.3 per nine innings, with a single-season high of 7.8. And among the 145 pitchers to log at least 500 innings as starters since Hughes' debut in 2007 he ranks 140th in ground-ball rate. If not for the fact that he was once a stud prospect Hughes would likely be viewed as just another mediocre starter rather than a disappointing bust. Of course, if not for the fact that he was once a stud prospect Hughes may have had to settle for less than $24 million coming off a year in which he went 4-14 with a 5.19 ERA. As usual reality is somewhere in between. He's a decent pitcher capable of faring better than his recent ERA, but his flaws should keep expectations in check. Fans have been rightfully clamoring for the Twins to actually spend some money after slicing $40 million off the payroll in two years, including leaving approximately $20 million in approved payroll unspent this year. Spending a combined $73 million on Nolasco and Hughes isn't ideal, but they're both reasonable investments within the context of rising MLB revenues and current spending. In other words, this is what it looks like when the Twins finally go swimming in the free agency pool. 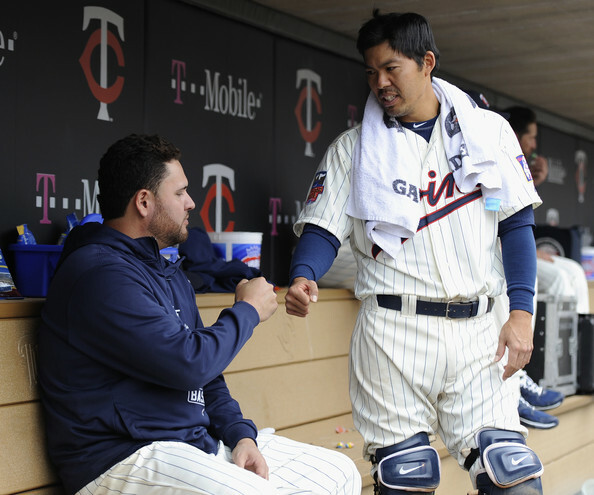 For a whole lot more about the Nolasco and Hughes signings, plus what it means for the future of the Twins' starting rotation, check out this week's "Gleeman and The Geek" episode.